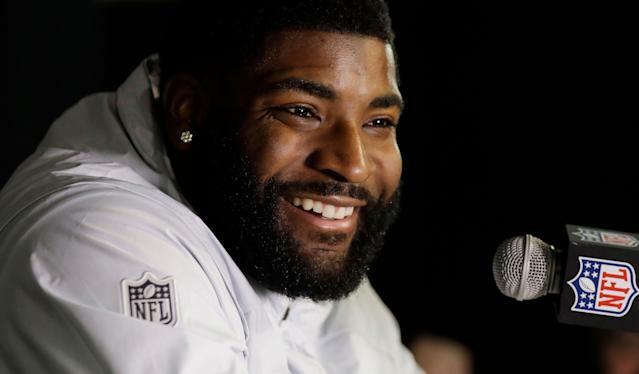 Vinny Curry is reportedly returning to the Eagles. Zach Berman of philly.com reported on Thursday morning that Philadelphia is “nearing a deal” to bring Curry back into the fold. It will be a one-year deal for $2.25 million plus incentives. A second-round draft pick of the Eagles in 2012, Curry was released last March in a cost-cutting move and signed by the Tampa Bay Buccaneers. But Curry only played in 12 games for the Buccaneers; he struggled with a high-ankle sprain, and tried to come back too soon, which affected his play. He had 2.5 sacks. The Eagles and Brandon Graham agreed on a three-year extension, but there are questions about other pass rushers from last season: Chris Long is undecided on whether he’ll return for another season, and Derek Barnett underwent shoulder surgery. Philadelphia traded Michael Bennett to the New England Patriots earlier this month.